Try Everything and I do mean everything in the clay world. Try sculpture, caning, miniatures, jewelry, and every technique in between. You never know what design concepts, techniques, colors, or themes will resonate with your soul until you have tried them. Just because you like the look of caning, doesn’t mean that you will be good at it. Maybe you will have a knack for making scaled miniatures, but if you never try them, how will you ever know? Shy away from brand snobbery. A long, long, long time ago I wrote an article all about polymer clay brand snobbery in Parker’s Clay Tribe and why we should all stay away from it. I still believe this to be true today. That before we “push” our clay brand of choice out into the world or upon others that we need to diligently TRY each and every brand we can get our hands on. One brand that might be good for sculpture is horrible for caning. One brand that’s wonderful for caning is horrible for mixed media. I think you get the idea. That being said, while my brand of choice has not changed much over the years, I have added some clays to into my “daily use” category. Being a polymer clay brand snob does not allow us to use the best brand for the job and can actually diminish the quality and the results of our work. Become familiar with The Blue Bottle Tree. Ginger is amazing. Her advice and expertise is sound, reliable, and spot-on. She does all the science and experimenting for us non-science folk who just like to play with our clay. Not to mention that her tutorials are the cream-of-the-crop; intense, concept driven, with detailed descriptions. Try my favorite, Rustic Beads here. 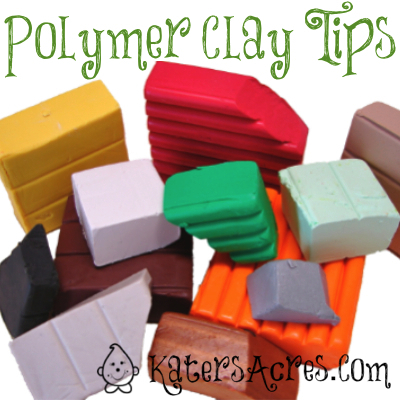 Make yourself friendly with your local craft / hobby store that carries polymer clay. This one is not as obvious because it doesn’t deal directly with using clay. However, if you become familiar with your local store, you will notice their sales patterns and offers. This way you will know when polymer clay will go on sale and you will receive the best price locally. I buy local as much as possible to boost my local economy. Join a Club, Guild, or Challenge Group. There are plenty of reasons why you would want to do this [see this post for a listing of polymer clay Clubs] but it boils down to this: growth. If you are working with polymer clay and really want to grow your skills and learn, there is no better way than to join a group of likeminded individuals who will challenge you, push you, and encourage you to grow. Have a tip you’d like to share? Leave it in the comments below.